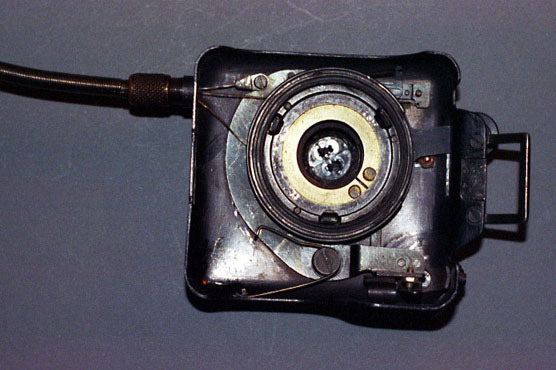 The F21 was allegedly used by the KGB for espionage purposes and made in the Krasnogorsk factory in Moscow from the 1960's - 1980's . 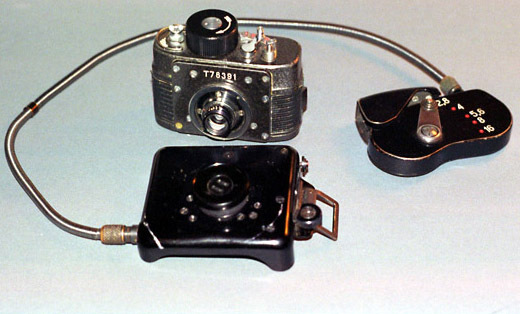 It takes the form of a miniature "Robot" style camera with clockwork motor drive. 21mm wide un-sprocketed film is held in special cassettes giving an 18mm x 24mm frame size. Variations exist with CDS auto metering. It has also been found in various disguises built into handbags or cases, some are found with a fake jacket button or belt buckle round the lens and a remote release to set apertures and fire the shutter. 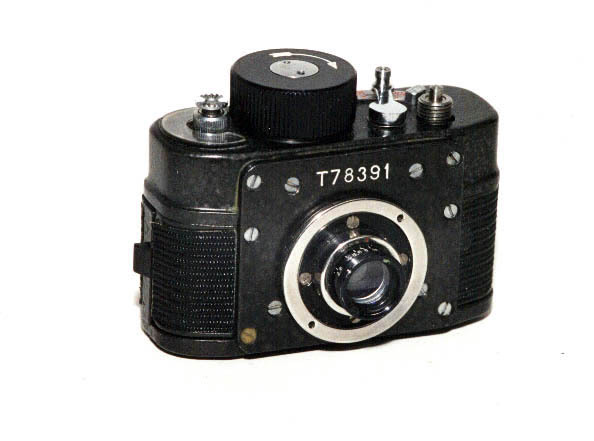 The version below was made in 1978 and is the basic camera, 28mm F2.8 interchangeable lens, 100th, 30th, 10th and "B" shutter speeds and clockwork drive. 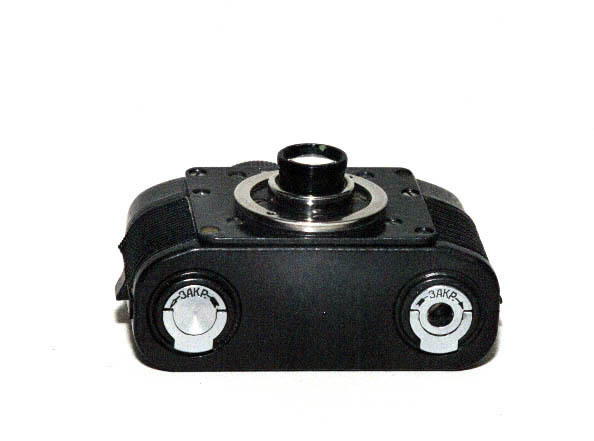 The "Button" front for the F21 is shown below. This consists of a metal panel that attaches to the front of the F21. 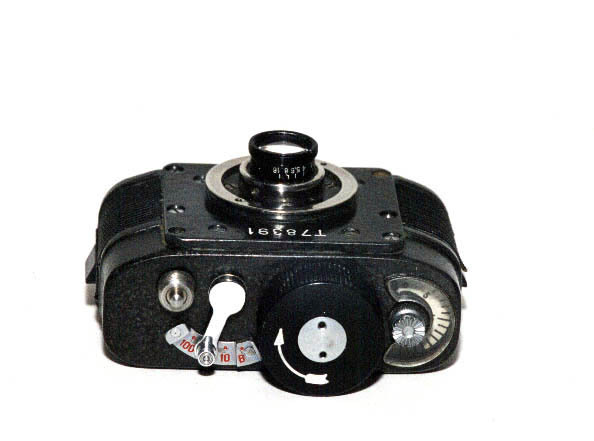 A fake button is in front of the lens, when the camera fires the centre of the button opens. 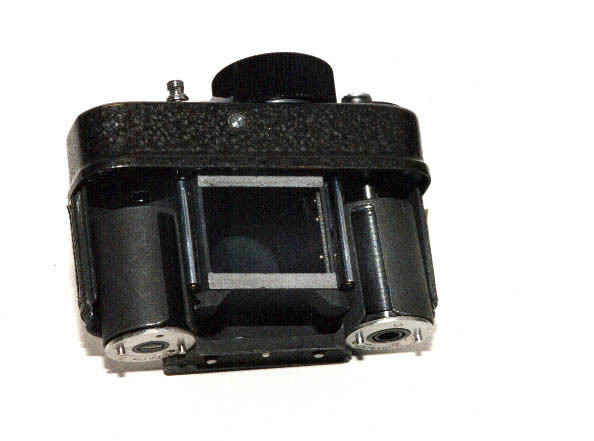 A remote release is held in the pocket that can also adjust the lens aperture.